The ultimate professional break-in oil. No-compromise formula for fast and effective ring seal and valve train break-in. Shock absorption technology to protect bearings and piston skirts. Formulated with 2500 ppm of Cam-shield® Premium ZDDP. Prevents air bubble formation for bearing protection. 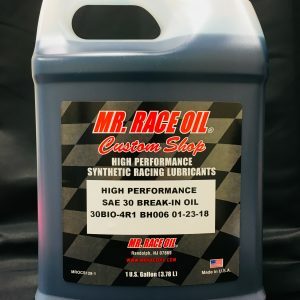 Formulated to neutralize contaminants, keep engine parts clean, and prevent corrosion in engines subject to storage. Kinematic Viscosity at 100C = 9.05 cSt. Colored blue for visual identification.